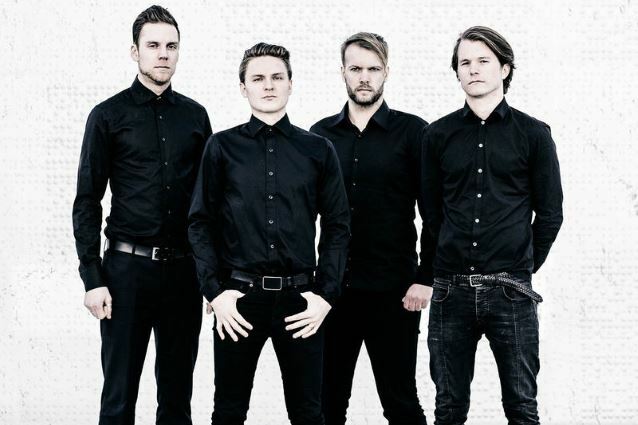 Norwegian progressive metallers LEPROUS will release their fifth studio album, "Malina", on August 25 via InsideOut Music. They have also announced an extensive European tour with Iceland's AGENT FRESCO, Australia's ALITHIA and fellow Norwegians ASTROSAUR. Following a hugely successful European tour as support to labelmates DEVIN TOWNSEND PROJECT, LEPROUS started recording the follow-up to 2015's "The Congregation". 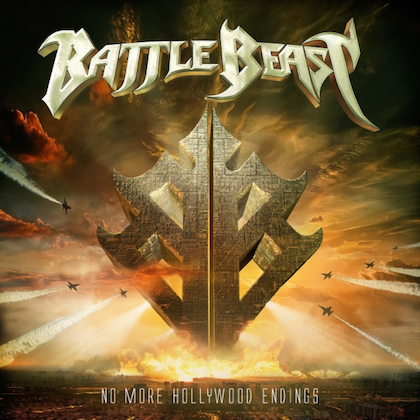 Frontman and keyboard player Einar Solberg comments: "This album is the perfect example of how you can start with a vision and end up with a result that has nothing to do with the original idea. "The writing of the album started out with the idea to perfect the sound and working method we began with on 'The Congregation'. "While the writing process was actually pretty similar (30 sketches, elimination process etc etc) we gradually started noticing stuff with the sound and the songwriting on the previous album that we wanted to sound different. Gradually we realized what needed to be done. This album needs to sound more alive, more organic and more dynamic." The band entered the studio with David Castillo at Ghostward in Sweden, while mixing duties were once again taken care of by Jens Bogren. "David immediately understood where we wanted to go," Solberg says. "We spent probably four times as many days in the studio as with any other recording we've done, for we've come to learn that if you want to sound unique that is primarily done during recordings, not the mix. We wanted it to sound like it sounded. We did not want to 'digitalize' the sound." 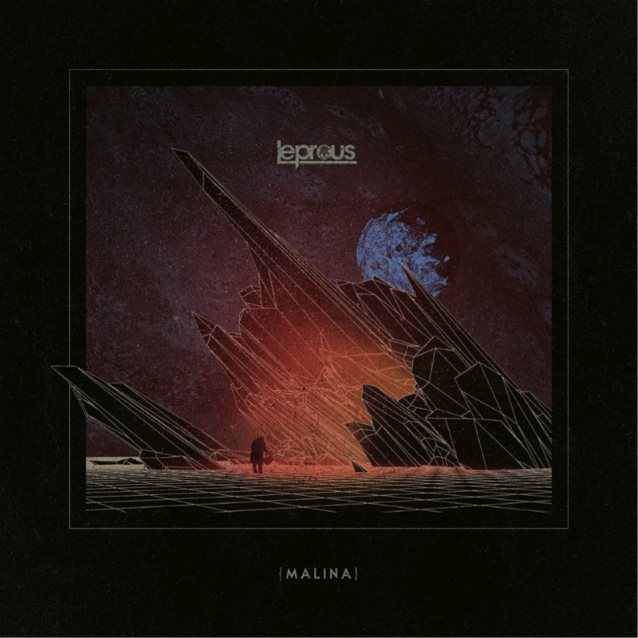 With "Malina", LEPROUS has made every effort to try new ways of working, and push the boundaries of their sound in ways they had not originally set out to do. "We feel with 'Malina' that we've managed to achieve a natural-sounding organic album with great songs that still sounds modern," says Solberg. "Organic doesn't necessarily equal 'retro'. While we still very much sound like LEPROUS, I believe that with this album we more accurately define as a rock band than a metal band. "We're insanely proud of this album, and can't wait to share it with you all." 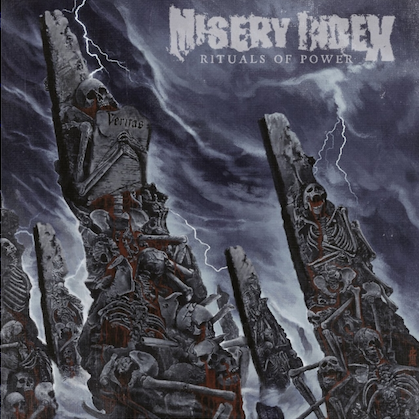 This feeling is reflected in the stunning cover artwork too, which you can see below. Einar continues: "We wanted to try something new this time, and work with a new artist. Some good musician friends of ours recommended Corey Meyers. I checked him out, and damn he's good. This is the first time we've ever received the perfect cover on the first attempt. It represents the album perfectly and looks pretty amazing!" 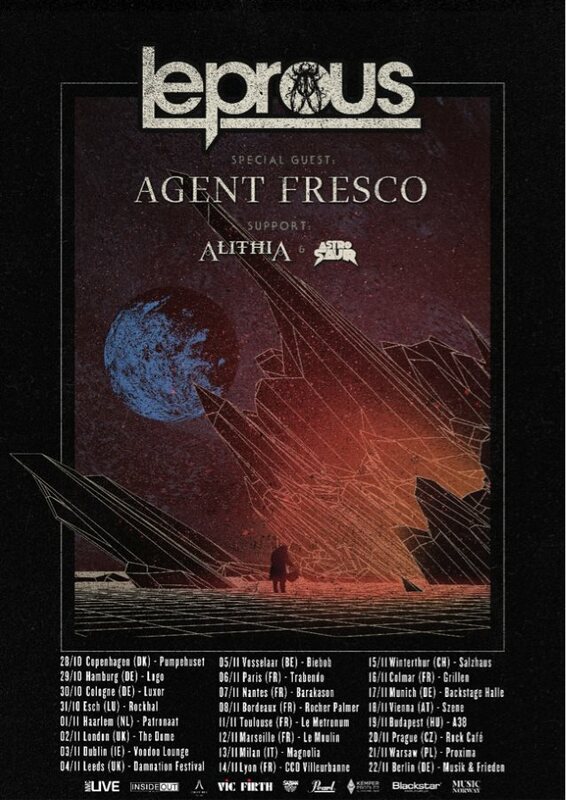 As mentioned, LEPROUS will head out on an extensive European tour this autumn with AGENT FRESCO as special guests, including an appearance at the U.K.'s Damnation Festival. LEPROUS comments: "We're super excited to announce that we're heading out on a European tour this fall to celebrate the new album. And guess what!? We're bringing one of our generations greatest with us: the amazing AGENT FRESCO! In addition to that we're bringing ALITHIA from Australia, as well as ASTROSAUR — the band featuring our great step-in guitarist from the Devin tour. This is a dream tour for us, to be able to perform in all of these great places for our fantastic fans, listen to amazing music every night and also travel Europe with really good friends!"